If Mickey and Minnie Mouse had a Minky, this would be the one! This is a "must-have" for your Disney travels. White polka dots on a black background. 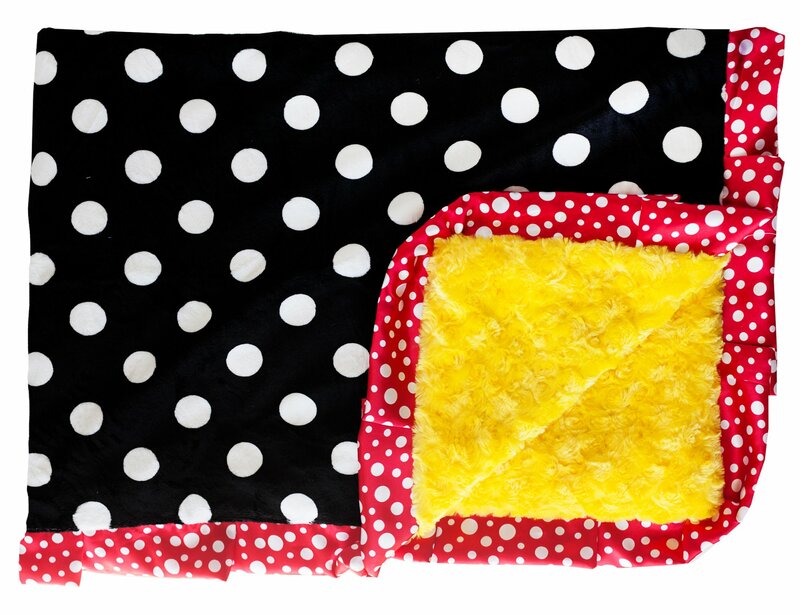 Yellow minky back and red & white polka dot satin ruffle.